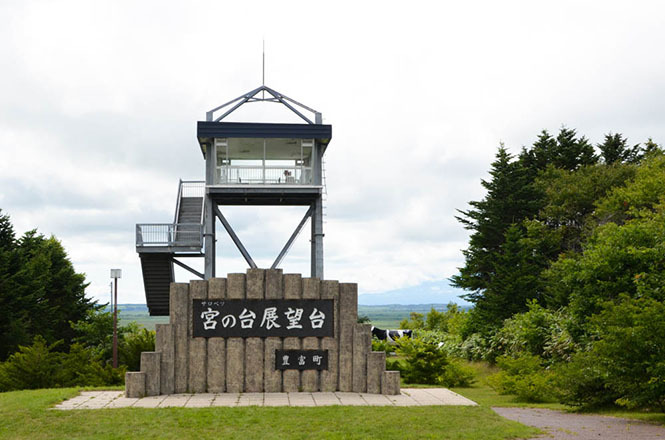 Miyanodai Observation Deck (宮の台展望台) is a viewing spot in the eastern part of Sarobetsu Plain, Rishiri‐Rebun‐Sarobetsu National Park. 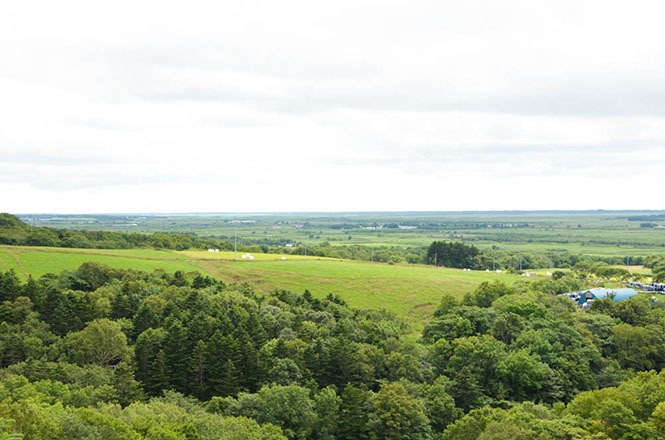 An observatory with about 5 m in height is built on a small hill along the Japan National Route. 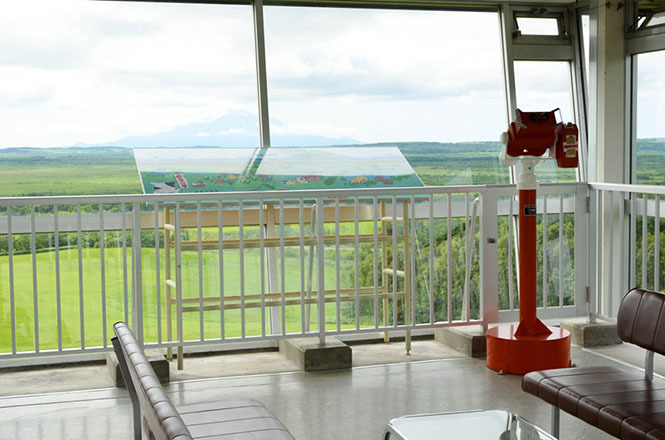 The observatory is all glass-covered when tourists go up the stairs, and Sarobetsu Plain, meadows and Mt. Rishirifuji are seen. 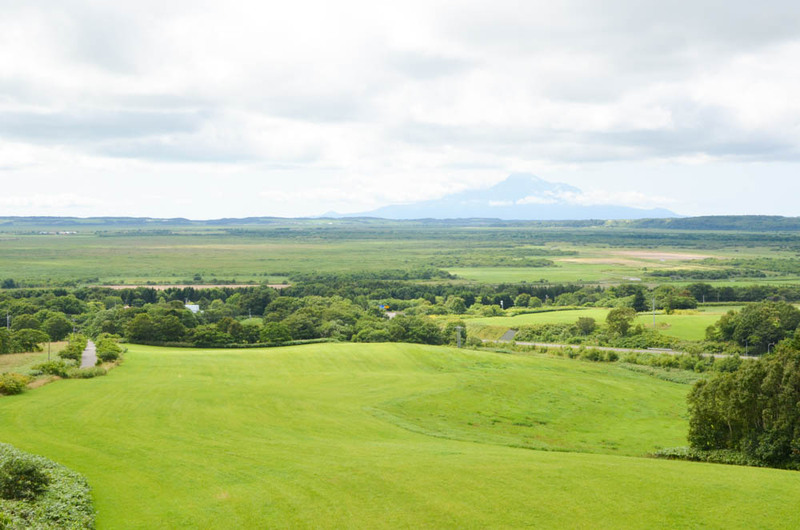 It is famous for nice scenery. This observation deck was called Tokumitsu Observation Deck (徳満展望台) or Sarobetsu Observation Deck (サロベツ展望台) at first, but it was renamed "Miyanodai Observation Deck (Miya means Imperial in English)" when His Imperial Highness Prince Masahito Hitachinomiya (常陸宮正仁親王) came in 1963. Benches for breaks installs in the observatory deck. 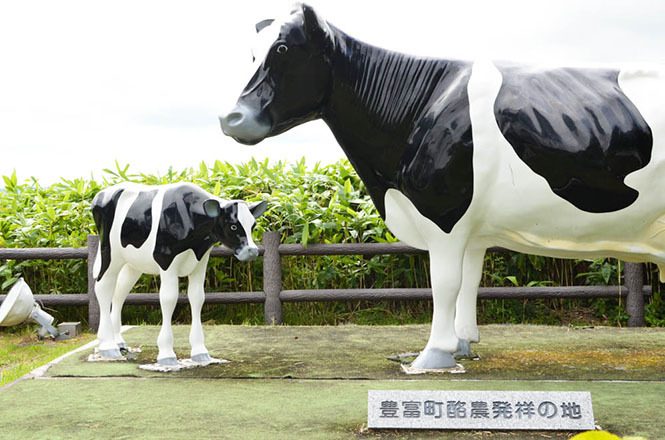 In addition, figures of the cow of parent and child are built at this place as a monument of Toyotomi town "Dairy Farming Birthplace (酪農発祥の地)". There is a restroom near a parking lot. Admission free. A parking lot is free of charge. 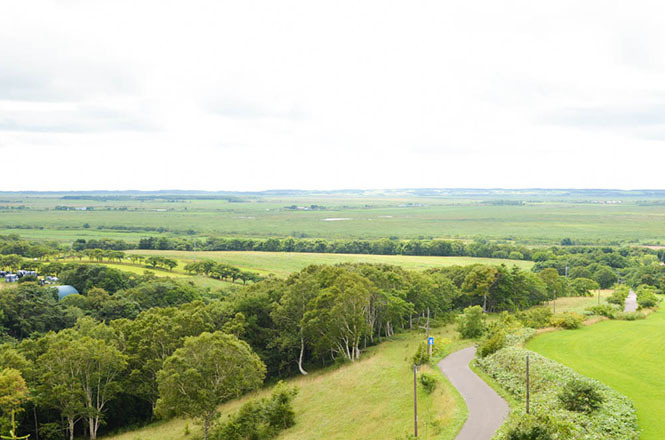 Refer to following websites for the accommodations around Miyanodai Observation Deck.